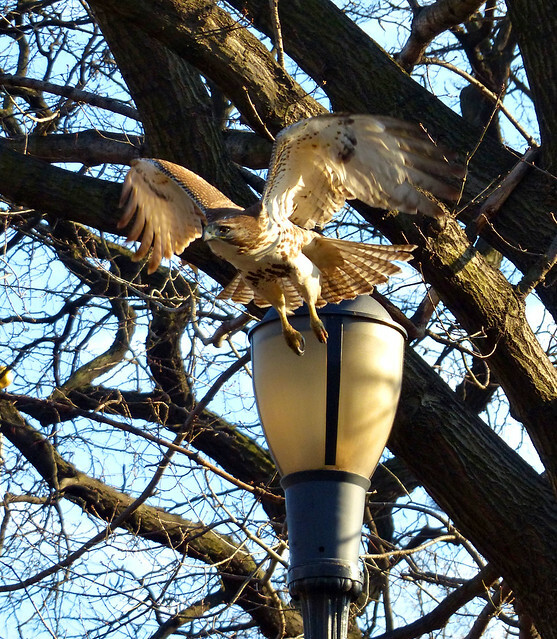 What started as a Mars Bar tribute site is quickly turning into a hawk blog. I can't help it. 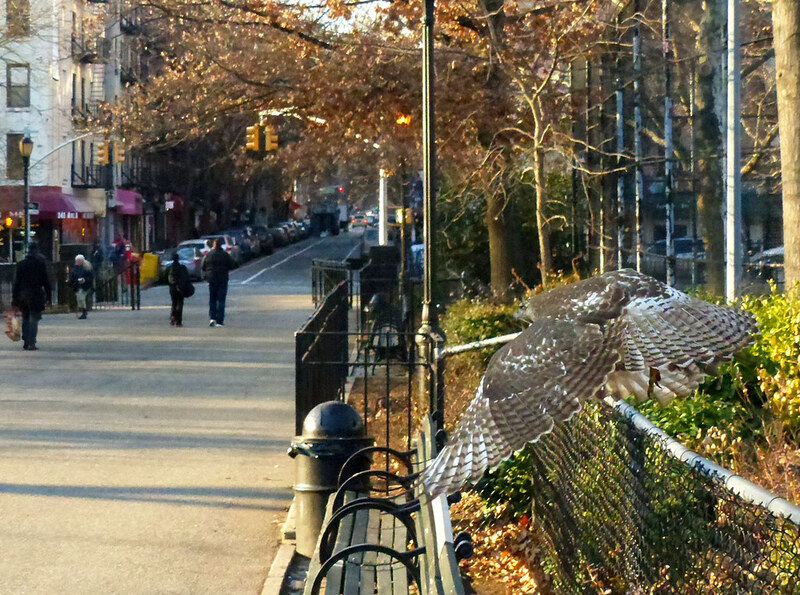 Seeing Nature up close and personal in the middle of the city just amazes me. Besides, the hawks are a lot of fun. 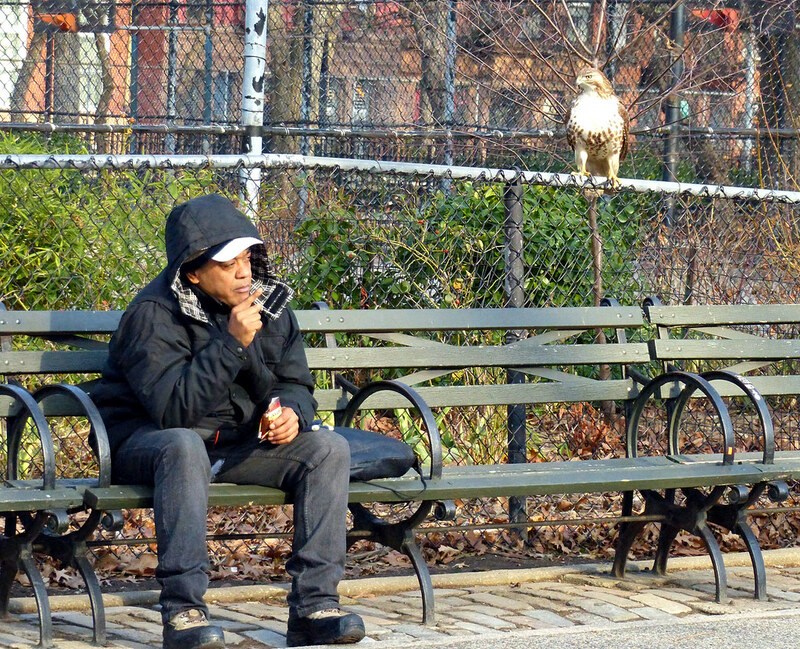 Today's featured juvenile stalked this man for a while, creeping up behind him and watching intently as he tore open a bag of pretzels. Alas, he wasn't in the mood to share. 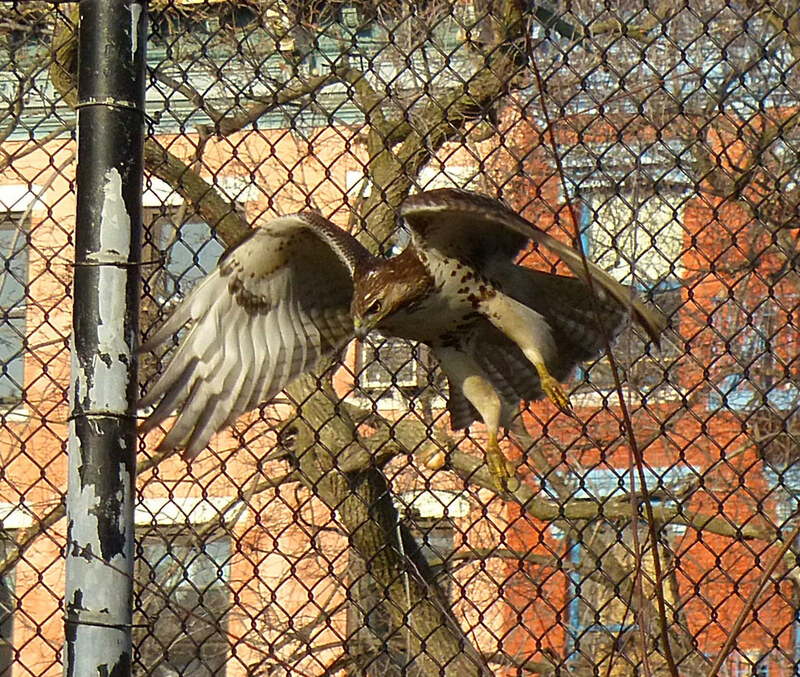 It then spent a good deal of time swooping around the immediate area, diving off every possible perch. Finally, it made a kill. I have to say, this was the clumsiest and most unprofessional hawk kill I've ever seen, but this is a juvenile and it's still learning. It nailed a gigantic rat in some brambles in this stump. 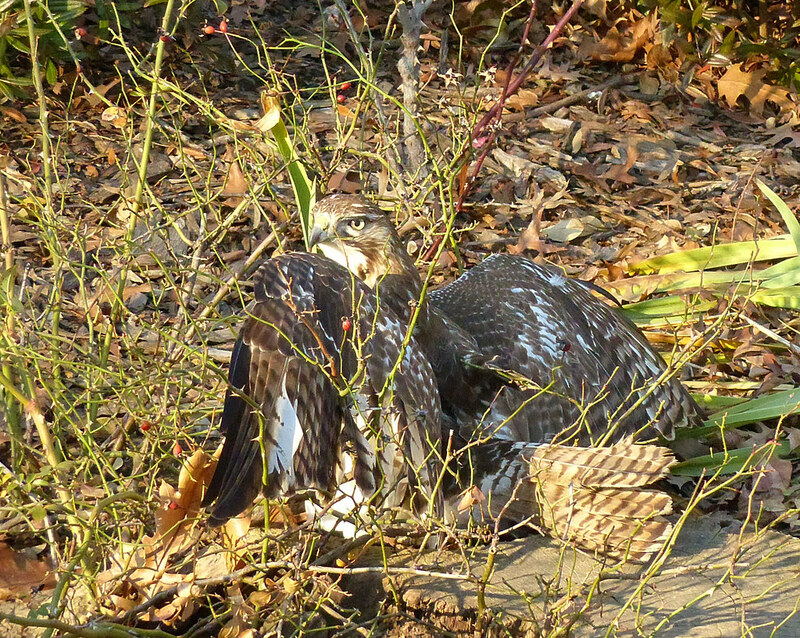 After digging its talons in, the hawk discovered it was stuck, unable to pull the rat out of the tangle. It also wasn't able to kill the rat right away, so the poor rodent screamed for several minutes while the hawk sat on top of it. 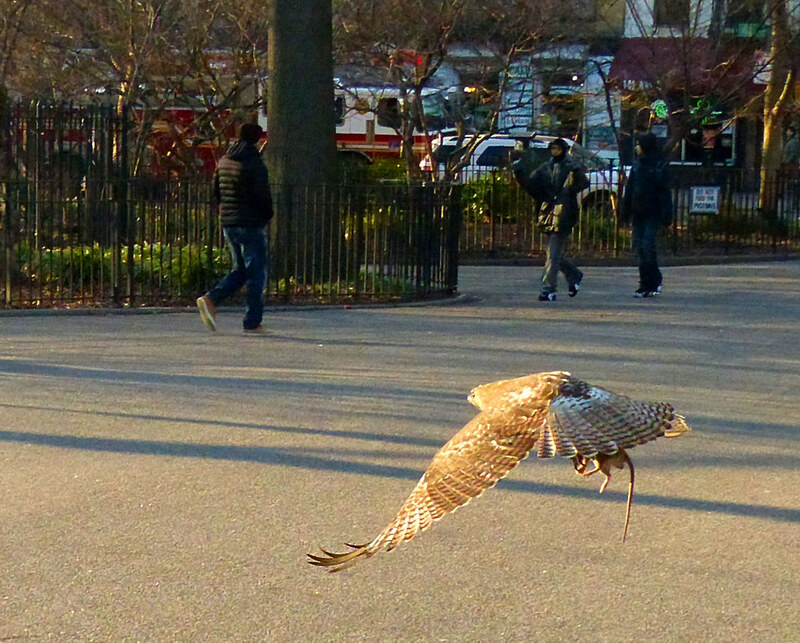 It then struggled to drag the rat out and ate most of it on the ground before being able to fly away. 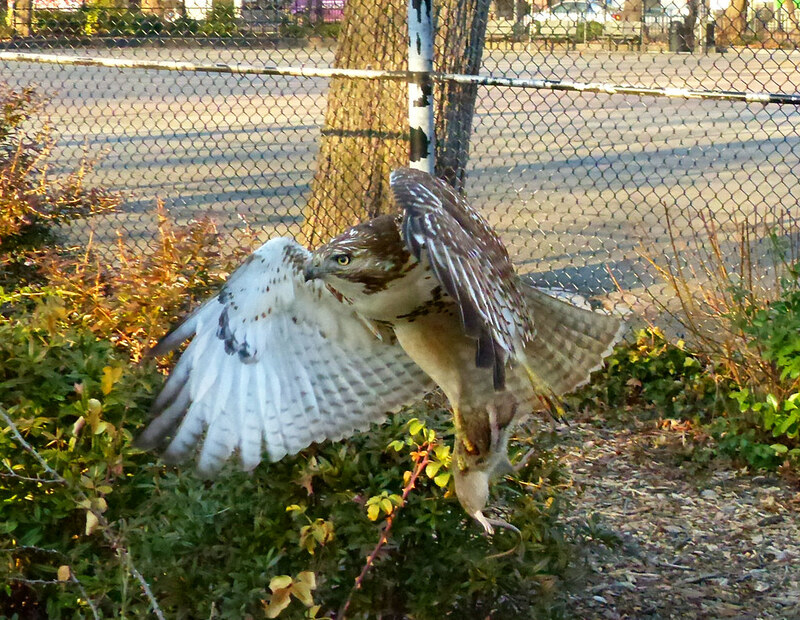 The hawk almost seems weighed down by the rat. Or maybe it just likes to fly low. Belated Christmas greetings! 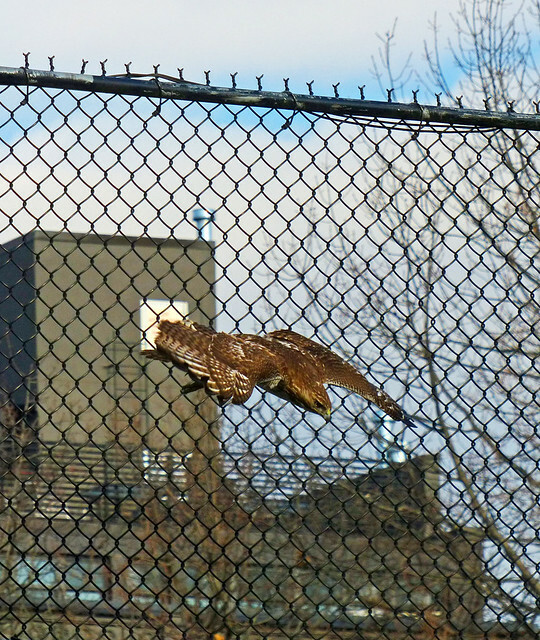 I'm really enjoying the hawk coverage.